I am going to go out on a limb here and say that David Cage might be one of the best writers out there. I mean that in all sincerity — right among the likes of Drew Karpyshyn and Marcin Blacha. Quantic Dream’s latest foray into the video game space is one that, I dare say, trumps Heavy Rain in just about all aspects. It looks great, plays exceptionally well and more importantly: draws you in right from the start. 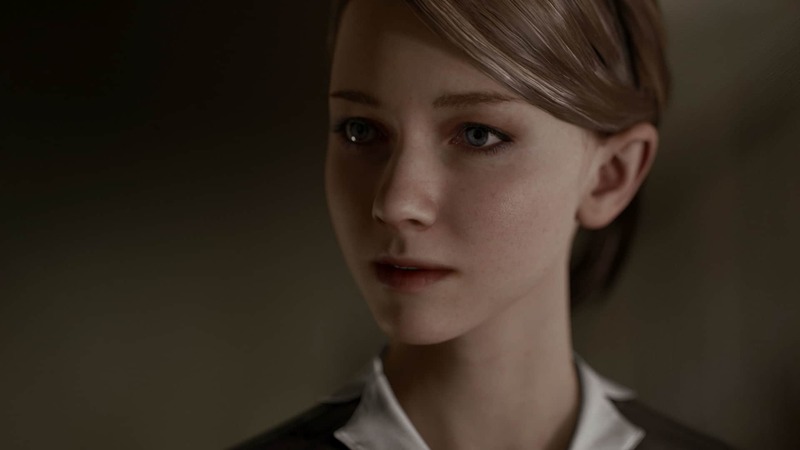 In the Vamers Detroit: Become Human review, we go over the points that make the game as great as it is. Before we get to dig into the good stuff, I must forewarn you that this review will contain zero spoilers past the opening hours of the game. 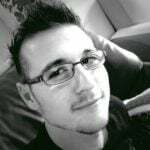 For in-depth thoughts, please come back in a couple of months, when the entire #VCrewZA (and likely the world) would have enjoyed the game. I promise that Vamers will have more Detroit: Become Human goodness by then. 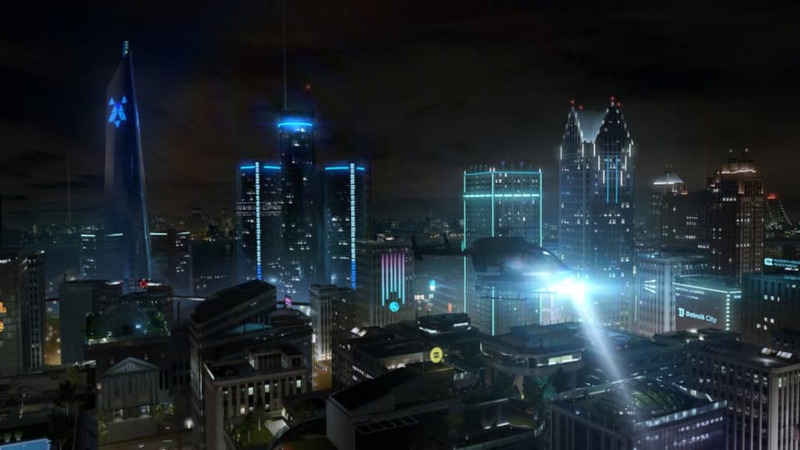 Detroit: Become Human is set in a near-future Detroit. One that is futuristic enough to believe that it could be what the future holds for humanity. Detroit is a beautifully designed city that is not afraid to show the nitty-gritty if it has to. 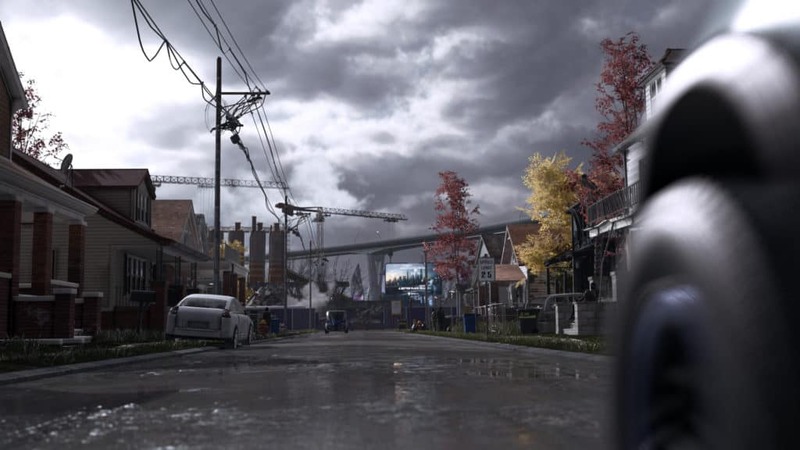 Similarly, the city is so reminiscent of the games Quantic Dream has done before, that I constantly found myself wondering where in the world Heavy Rain protagonists Ethan and Madison may have ended up, and whether Shawn might own an Android of his own. Regardless, the strange pre-cyberpunk life of 2038 wonderfully explores the rise of androids and artificial intelligence (AI). Specifically when mega-corporation Cyberlife weaves itself into every aspect of human existence. In a world where there is an android for, quite literally, every occasion and scenario, the question of “where does humanity fit in?” becomes ever more prevalent. This quandary is exacerbated even more when the advent of an artificial intelligence that believes, feels and expresses emotion just as well as humans do, counters that initial question with one of its own: where do these new AI beings fit in? This is the primary question that Detroit: Become Human tries to answer. Detroit: Become Human follows the lives of three androids, all from different walks of “life”. 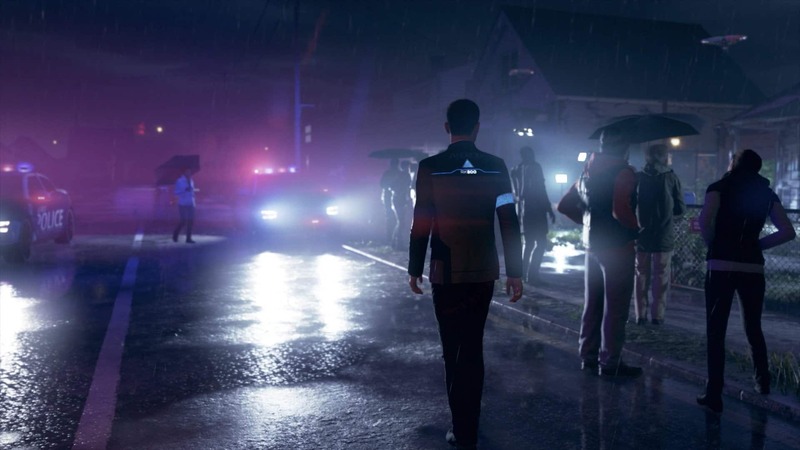 The story opens with Connor, a prototype police android who is one of the first that specialises in finding and bringing rebellious androids (Deviants) to justice. The game opens with the same scenario players were given in the demo: a housekeeper android deviated from its programming and has taken its master’s daughter as a hostage. Now, Connor is sent in to negotiate with the deviant and get the girl back at all costs. Whether Connor sacrifices himself, gains enough evidence and uses his skills as a negotiator to allow for a passive solution, or have the deviant killed; it is all up to you, the player, to determine how the story unfolds. The story then quickly shifts to a showroom, with an android that has just woken up from a system reset. Kara, as she is named, is handed over to her new master, which we soon learn is actually her long-time master. Kara is taken home, where she meets with Alice and finds that it is not the first time that she and Alice have been friends. Markus, the third and last perspective players are subjected to, is a caretaker android that has it all: a posh, upper-class lifestyle with a master that treats him like his own son. Markus soon finds himself in a dire situation where he has to adapt to the most extreme of circumstances. Fortunately, his new-found experience sees him become the head of the spear that pushes ahead a movement that might change the future as we know it. I literally cannot say any more about the story. Detroit: Become Human is so well written that I implore you to experience it for yourself, whether you are a casual gamer or an experienced gamer. Together, the three focalisers create a tense and gripping narrative that intertwines at moments that you could not even have imagined. It really is fantastic. 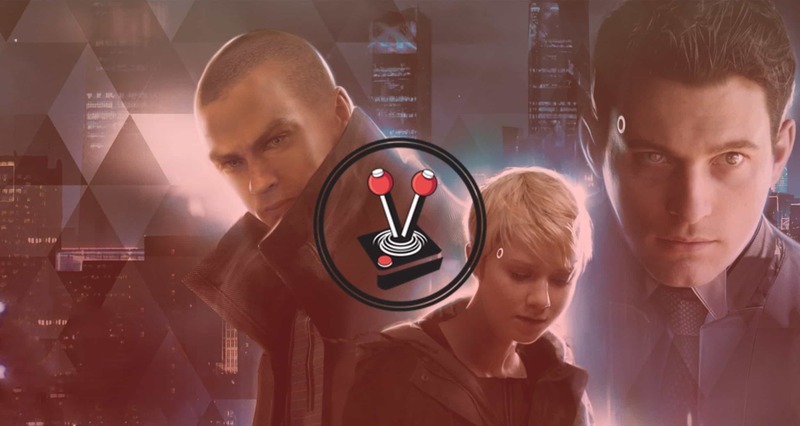 While many parts of the story could be perceived as predictable in nature (there is one particular scenario regarding Markus that proves to be more predictable than any of the others), the long-term outcomes of the story all depend on the choices and actions that players make. It is a beautiful partnership between gameplay and storytelling, whereby neither aspect feels forced or overpowered. Fans of Quantic Dream games will know what to expect going into Detroit: Become Human, as the game plays and feels very similarly to previous titles from the studio. At the start, you can choose whether you are a casual gamer who prefers the narrative experience without too many controls barring the way, or whether you are an experienced player that likes to be immersed in both the story and the gameplay. Whichever option you pick, the game features very little in terms of button prompts.This makes it quite easy to pick up and play. The primary inputs used on the Dual Shock 4 include the front facing PlayStation buttons, the two analogue sticks (left for moving the character, right for viewpoint and contextual actions), the top and bottom triggers, and the touchpad. The game makes no use of the directional buttons, and hardly ever forces you to use the left analogue stick except for navigation. On occasion, it also makes use of the motion controls built in to the controller. Throughout the game, you will perform actions by tapping or holding certain buttons, flicking the right analogue stick, or even throwing the entire controller in various directions. Often times, characters will need to perform advanced actions that require more focus, or more effort. These actions are represented by combining the various buttons and triggers into a single action, and more often than not require combining the right analogue stick with the L or R triggers and the front facing PlayStation buttons. It may all sound very confusing, but believe me when I say that the game features simpler controls than Cuphead ever did or Mario ever could. As you follow Connor, Lara and Markus, you are exposed to the wider world that Quantic Dream have created. Strewn throughout almost every scenario are magazines or e-zines. These go into other aspects of life in 2038, such as sports, technology, and even entertainment and gossip. Reading these will always teach you about some aspect of the life of the characters around you. It might even unlock an optional dialogue or two in later scenarios. In terms of dialogue, the game likes to throw things at you in the most humane ways possible. Talking with others, such as Carl or Todd, may not seem like it matters in the greater scheme of things, but it might influence a later outcome for another dialogue in the game. Similarly, wasting time reviewing clues or reading gossip columns may feel like you are gaining all the knowledge in the world, but it might also influence how someone perceives you or what is happening in the world around you. A perfect example lies in the very first scene in the game: Connor needs to negotiate with a deviant before the hostage is harmed. However, in order for Connor to reach a good outcome, Connor will have to review clues. Reviewing these clues, however, happens in real-time, while the deviant is outside, shooting at officers. How long Connor takes, and how much evidence you are willing to get, directly correlates with the public opinion the world has on androids; since, you know, a deviant holding a girl hostage on a penthouse in central Detroit does not go unnoticed. Whatever actions you take throughout a scenario will directly influence how that scenario unfolds. All of these actions can be reviewed at the end of every scenario in the form of a nifty little flowchart. This flowchart not only shows you the paths you have taken throughout the scenario, but also shows you how many possible outcomes the scenario holds, without spoiling it. These flowcharts are amazing little additions to the game that I dearly wish Heavy Rain or Beyond: Two Souls had. While the games I have mentioned feature incredible replayability in their own right, the flowcharts in Detroit: Become Human really encourage players, even more, to replay the game and get their desired outcomes. With that said, the game itself was a blast, and a heavy, heavy curse to force myself not to go back and replay past bits that I had unfavourable outcomes with. Both the game and I implore you to, no matter what happens, play the game straight through for the first time without going back. What happens in a single scenario influences many others in the future. An unfavourable outcome in a single early game scenario might give you two or three much more challenging scenarios later on, if not more. It makes each play through unique, with no real ‘correct’ or ‘incorrect’ way of playing. That is one of Detroit: Become Human’s biggest strengths. I think it goes without saying that the game has very little going against it. 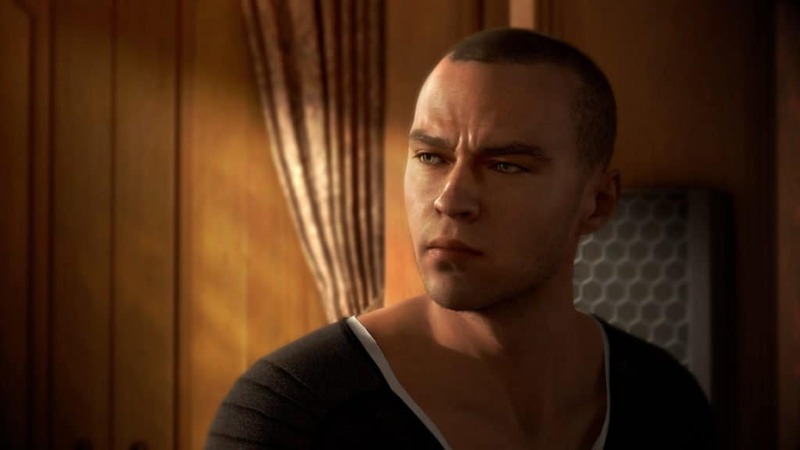 Literally, the only sort of negative aspect I can think of is one particular scene with Markus that I felt gave me very little freedom compared to all other scenarios throughout the entire game. Then again, instead of giving players the “illusion of choice”, Quantic Dream just decided to let it happen as they intended it to. One or two forced scenarios does not take away from an entire game where player choice is the primary directive. I have previously mentioned that the city of Detroit is a beautiful place, and I mean it. The world Quantic Dream have created feels so real that I honestly think it is a possible reality, given twenty more years. What adds to this is the world building is done in an exceptional manner. I mentioned those magazines or electronic magazines earlier. Beyond those, televisions feature entire news broadcasts and interviews, cartoons and movies, and even clips and highlight reels of various sports matches. The city itself feels lived-in and populated. Scenarios at night feature fewer people, but still hold the same atmosphere as a real-life city would at midnight. As you explore certain scenarios, you can stare at the construction going on in the background, or at random city-folk strolling through parks, and can even watch as they go about their business in busy market districts. Similarly, laundromats feature both busted and working machines, while convenience stores are stocked with items that all feel individual instead of the usual pasted on textures. To me the previous games by Quantic Dreams may not have been the best looking games out there, but gosh darn did they come close to creating the perfect world this time around. Every step you take in Detroit: Become Human lets you feel like you are a part of the world, whether police android, housekeeper or caretaker… and all without any major hitches to speak of! 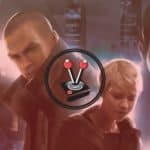 Quantic Dream have decided to lock the game at a 1080p resolution, with a frame rate cap of 30 frames per second on PlayStation 4 (which is the console I played on), and 4K ultra-high definition, and 30 frames per second on the PlayStation 4 Pro (which Hans is currently playing the game on), and it is beautiful regardless of console version. While the game may take its sweet time booting up, once loaded, it feels quick and natural. The 30FPS lock may seem like a step backwards, especially on the beefier console, but the pace of the game, coupled with the beautifully rendered animations, requires no more. This is not me advocating lower-framerate locks, but it is me telling you that this should not matter when you are playing this game. Never did it feel like the game chugged behind, and never did I experience a single hitch or dropped frame. At the end of the day, the big question is whether you should buy the game or not. Whether you will enjoy the game, and whether it will be a worthy time waster compared to the many other great options out there. I suppose by now, you should have picked up on the answer to all of those questions by what I have said above (the tl;dr is “yes, go buy it, right now”). Detroit: Become Human is a game that allows you to not only escape your own reality, but also one that lets you step into the shoes of three different protagonists that are all relatable in some way or another. Perhaps the most beautiful thing about it the game is the thought-provoking way it presents itself. The game has a way of letting you ponder your actions and ask whether or not you truly made the right decisions. It has a way of allowing friends to talk about it nonstop after the fact. In much the same way that Dark Souls allowed millions of people to craft theories, Detroit: Become Human has a way to make you question what is right and what is wrong; and when the line is grey and void of colour, what is the best decision to make regardless; all while covering themes and problems that are real — many of which are very pressing, at the time of this writing. Then there is the simple fact that the game is a spectacle to look at. Everything is beautiful, from the garbage bins outside Todd’s house to the androids themselves. When the rain falls and you walk in it, to when you get close ups of your face. Shadows fade as you would expect, and locales look authentic — especially a certain ship you find about a quarter through the game. Better still, it is so believable, all while keeping a steady frame rate, and featuring loading times that do not feel longer than they should be. The game is worth it. In every sense of that phrase. Detroit: Become Human is a game that allows you to not only escape your own reality, but also one that lets you step into the shoes of three different protagonists that are all relatable in some way or another. Perhaps the most beautiful thing about it the game is the thought-provoking way it presents itself. The game has a way of letting you ponder your actions and ask whether or not you truly made the right decisions. An unforgettable experience.